I try to keep it as a brief a period as possible. 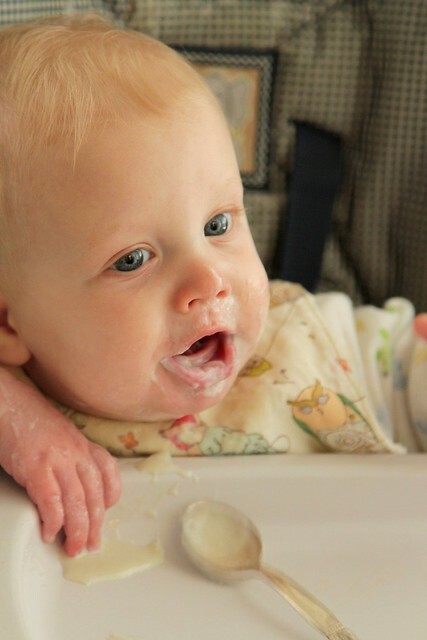 Rori had a really hard time figuring out what to do with her tongue when we started her on solids. She would push the food out instead of swallowing. She was also a constant drooler so you can imagine the fun we had trying to get her to swallow. We finally decided to to try feeding her while she was laying down so gravity could help. We would lay her down on a towel to prevent messes on the floor and it worked wonderfully. 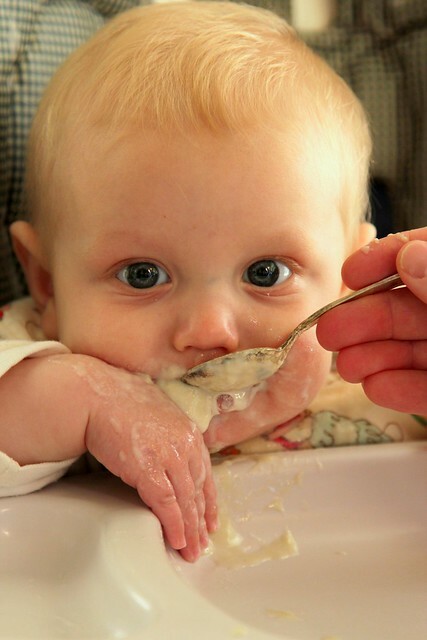 It made spoon feeding WAY easier. 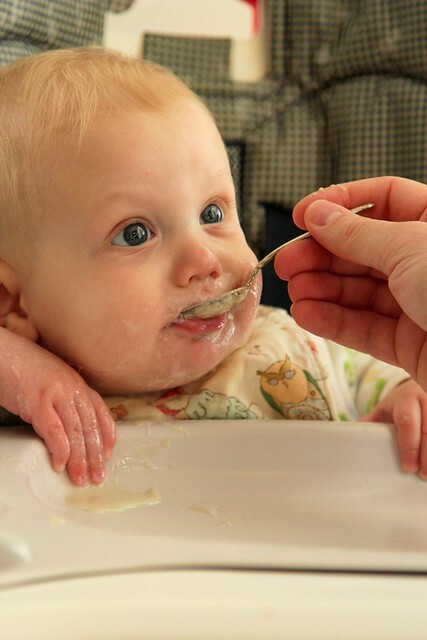 My boys were great at eating with a spoon so I was knew to the whole "spoon feeding is hard" thing. This was the best solution we could come up with. Might be worth a try.